First discovered by Charles Messier in 1764, the globular cluster Messier 9 is a vast swarm of ancient stars located 25,000 light-years away, close to the center of the galaxy. Too distant to be seen with the naked eye, the cluster’s innermost stars have never been individually resolved… until now. 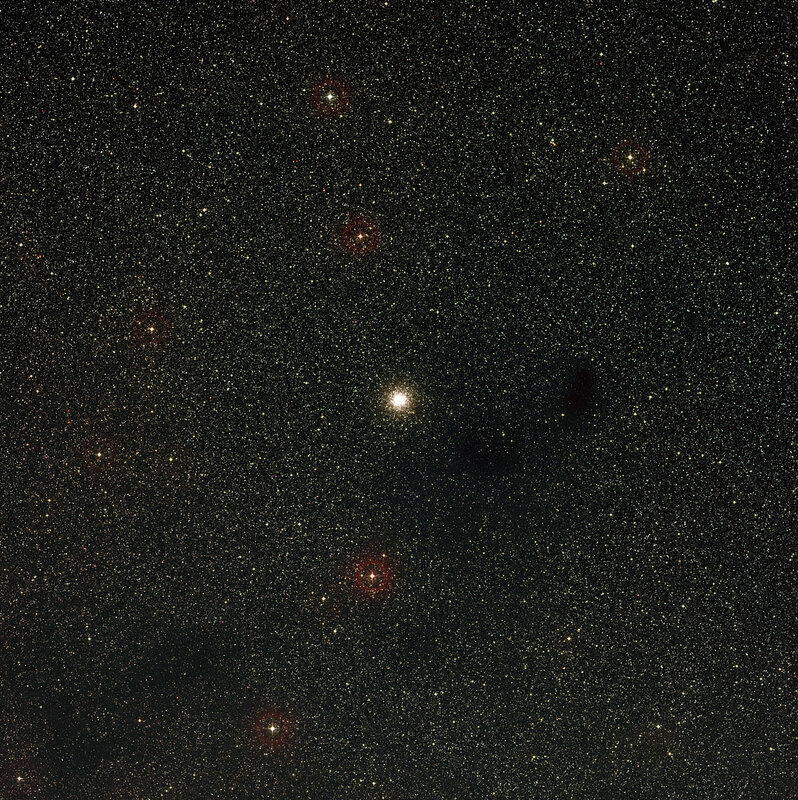 Hot blue stars as well as cooler red stars can be seen in Messier 9, along with more Sun-like yellow stars. Unlike our Sun, however, Messier 9’s stars are nearly ten billion years old — twice the Sun’s age — and are made up of much less heavy elements. Since heavy elements (such as carbon, oxygen and iron) are formed inside the cores of stars and dispersed into the galaxy when the stars eventually go supernova, stars that formed early on were birthed from clouds of material that weren’t yet rich in such elements. The Hubble Space Telescope is a project of international cooperation between ESA and NASA. See more at www.spacetelescope.org. I’m LOVING that 10MB download! Gorgeous! Imagine how night sky looks like inside this cluster. It must be gorgious. Yes they are. The faster a star rotates the more it bulges at its equator. Also gravitational forces in a semi-detached or contact binary system can make the star(s) become egg or tear-dropped shaped. 25000 light years = 2.365125×10^26 cm. It is possible to determine the distance as Avo.No. x R / Pi x root 2 = 2.4708469 cm. This is new process to find the distance of planets, stars, galaxies etc. UT recently had another article on M9. It would be interesting to have the other photo to compare. After watching that movie, the whole computer screen starting backing away once it was done. Ophiuchus is a great summer time Glob region.Don’t forget M10 and M12. Core a glob and you will be hooked! Is it “normal” for there to be both blue and red stars in a globular cluster? Yes, in the context here it is. Most of the blue stars are subdwarfs near the end of mainsequence, and are soon(tm) about to swell up to red giants. They still fuse hydrogen into helium in the core. The red giants are those stars that are just a little more evolved than the blue ones, because they are a little heavier. These have stopped fusing hydrogen, and some have started to fuse helium into carbon wich gives them a significant luminosity boost.. Some of the blue stars are also something called “blue stragglers”, stars that seem to be the result of mergers or collisions of 2 or more stars. Stars significantly heavier than the ones we see are long gone, and now remain as white dwarfs or neutron stars. Are the brighter stars that really stand out just in the foreground, or are not all of the stars in m9 10 billion years old? Pretty much all of the stars belong to the globular cluster, but ofc there will be a few foreground stars (aswell as background stars). 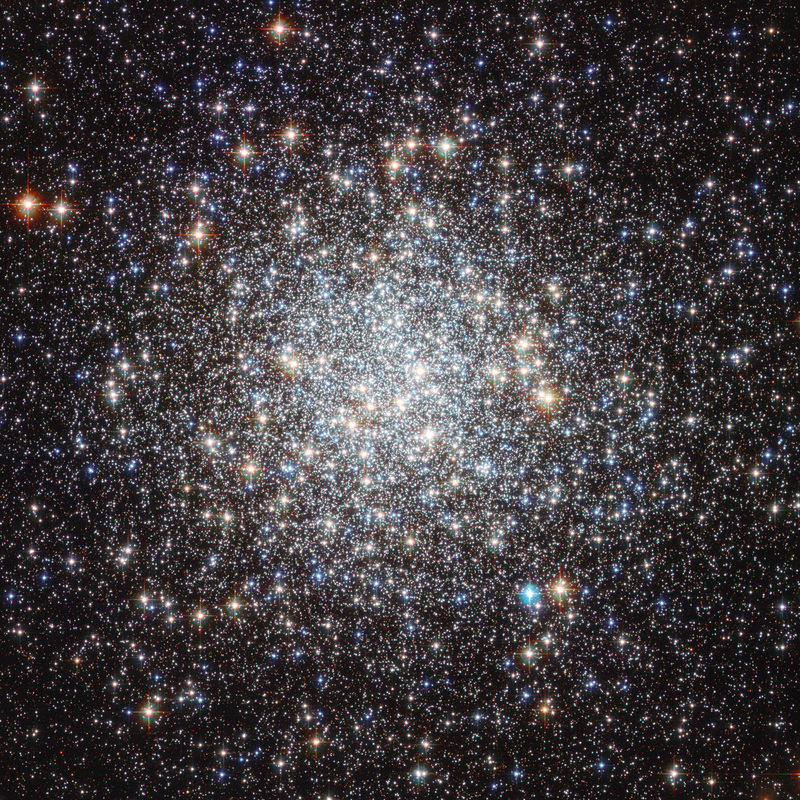 Most globular clusters indicate that starbirth occured in a few repetetive burst over a period of several hundred millions of years, meaning not all stars are of equal age. But other than that, its just a matter of stellar population and the evolution of individual stars. I have been looking at some pics form Hubble. They are so fasinating. Bu how do the scientists know that this cluster is in the centre of the universe. Absolutely amazing. The article states that the cluster M9 is “close to the center of the galaxy”, not the Universe.